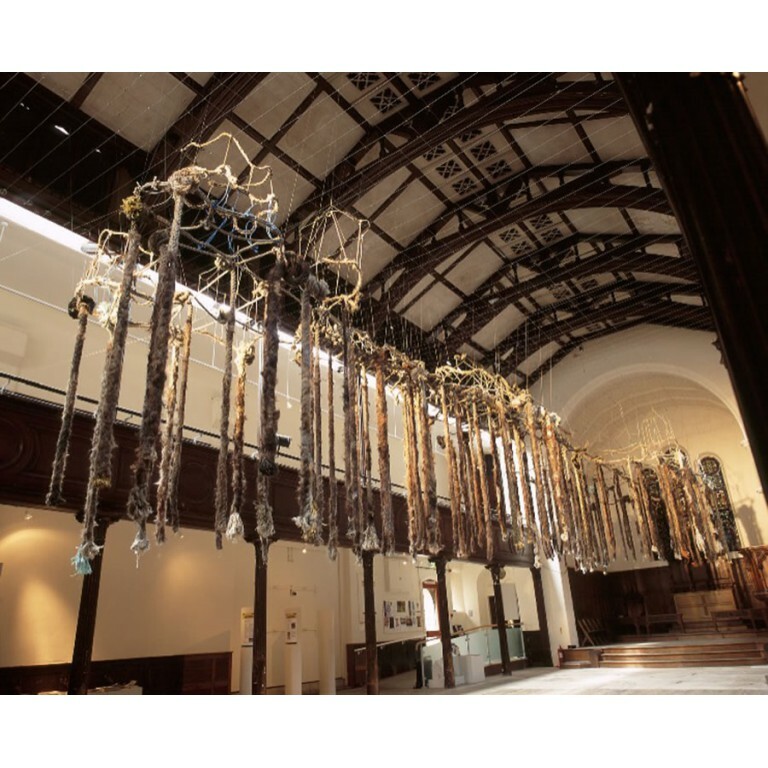 Commissioned by FABRICA Brighton this suspended artwork was designed to hang from the rafters of the former church that is now Fabrica Gallery. I made it entirely from recycled materials, rope that I found on the shore all round the South coast and human hair which was donated both wittingly and unwittingly by residents of Brighton. With a lot of help and ingenuity from local artists we managed to hoist it up and hang it from the beams. Difficult if not impossible to photograph, it filled the body of the nave, dangling just above the heads of gallery visitors. The idea came from the West Pier which was and still is crumbling into the sea, and which is thought to have been the most beautiful of the two piers in Brighton. It is said that it was deliberately sabotaged by those that have a vested interest in the other pier, and visitors to the show described a feeling of sadness. It also has personal significance something to do with crumbling boards, fragile stages and the sea raging beneath.